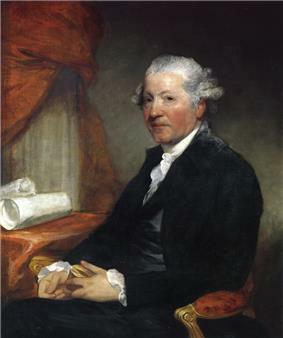 Sir Joshua Reynolds George III in 1769. Reynolds travelled homeward overland via Florence, Bologna, Venice, and Paris. He was accompanied by Giuseppe Marchi, then aged about 17. 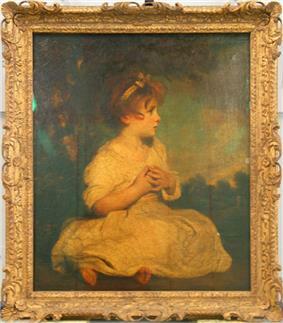 Apart from a brief interlude in 1770, Marchi remained in Reynolds' employment as a studio assistant for the rest of the artist's career. 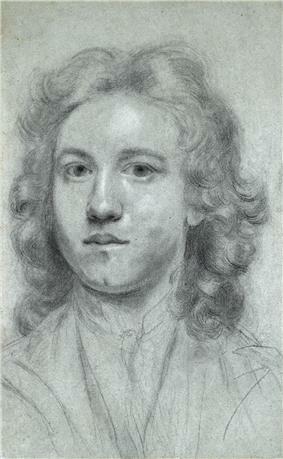 Following his arrival in England in October 1752, Reynolds spent three months in Devon, before establishing himself in London, where remained for the rest of his life. 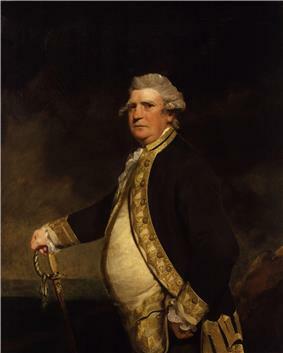 He took rooms in  in whose portrait, according to Nicholas Penny "bulk is brilliantly converted into power". In 1760 Reynolds moved into a large house, with space to show his works and accommodate his assistants, on the west side of Leicester Fields (now Leicester Square). 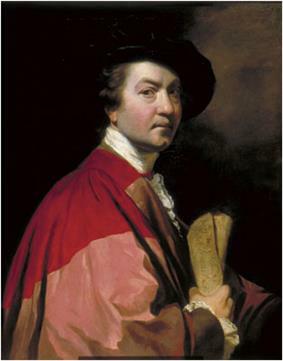 Doctors  Reynolds died on 23 February 1792 at his house in Leicester Fields in London between eight and nine in the evening. Reynolds was buried at St Paul's Cathedral. In 1903, a statue, by Alfred Drury, was erected in his honour in Annenberg Courtyard of Burlington House, home of the Royal Academy. Near the statue are fountains, installed in 2000, arranged in the pattern of the planets at the time of Reynolds' birth. 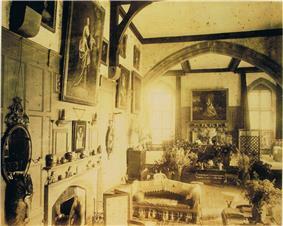 The hall at Loton Park, circa 1870. Showing, in situ, on the far wall Reynolds' Frances Anne Crewe (miss Greville), as St. Genevieve, c1773. ^ a b c Northcote:, James. The life of Sir Joshua Reynolds 2. p. 26. ^ "Local History RichmondHill]". London Borough of Richmond. ^ "Burlington House courtyard - Joshua Reynolds". London Remembers. Retrieved 25 September 2014.